The Happy Goodman Family began to be known for their singing around 1950. During the 1940s and 1950s, there were various combinations of all eight brothers and sisters, always including Howard. Sam served in the U.S. Air Force while Bobby worked as a truck driver and played some rock and roll bands. Rusty served in the armed forces as well as singing with The Plainsmen Quartet afterwards. Howard’s wife Vestal joined the group as well. After all the sisters married, Howard and Vestal became evangelists. Soon Sam joined again followed by Rusty in 1962 and Bobby on bass guitar not long afterwards. Their first full-length recording was I’m Too Near Home, initially released in 1963 and later re-released on Canaan/Word Records in 1965. The Goodmans had long list of hit songs. Many of the songs they introduced to gospel music are now considered classics. 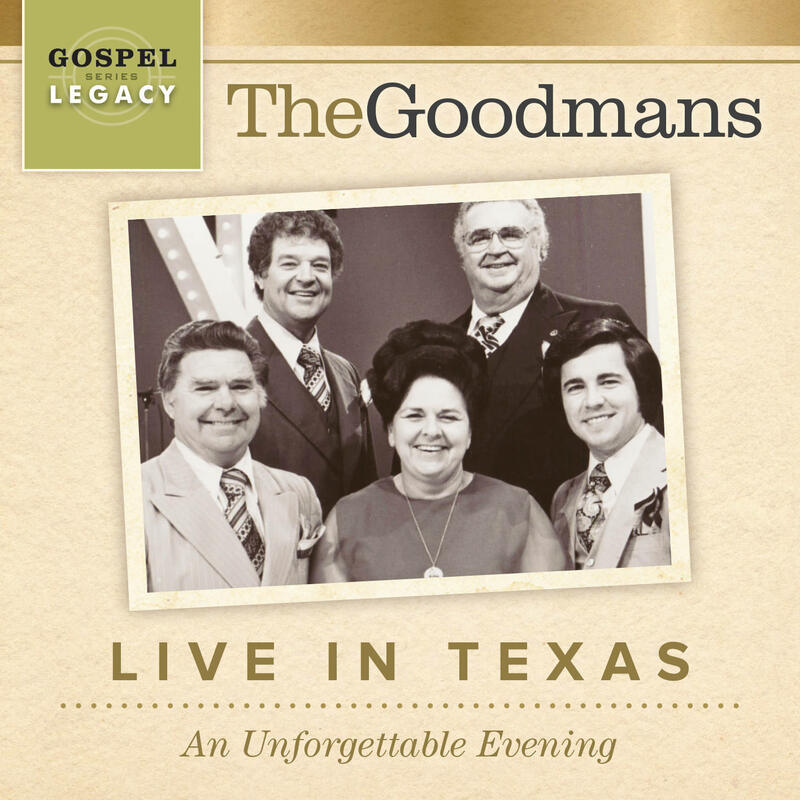 Songs such as “I Wouldn’t Take Nothing For My Journey Now”, “Who Am I?”, “God Walks the Dark Hills”, “Had It Not Been”, “What a Beautiful Day”, and many others will forever be part of gospel music and synonymous with the Happy Goodman Family. The Goodmans broke new ground in gospel music during the 1960s and 1970s by implementing a live band and creating their own unique sound. It was during these years that they developed their now classic “grab a note and hang on” endings. Sam’s humorous emcee work, Howard’s showmanship at the piano, Rusty’s songwriting, and Vestal’s hairdos, white handkerchiefs, and powerful singing voice all rose to a new prominence. Tenor Johnny Cook joined the group for a while in 1974 and Rusty’s daughter Tanya was added in 1976.